On December 1st, our second Skate Night of the 2017-2018 school year was another fun evening for members of the CMES community! Plan for another night of Valentine’s Day-themed fun in February! Between November 27th and December 1st, we hosted our first ever Holiday Shoppe for the children of CMES! 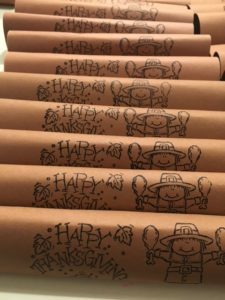 Despite some snags, the event was an overwhelming success and we look forward to an even better time holiday season! We are so thankful to have some of the best teachers here at CMES! Our teachers were so supportive of our students for the Vocabulary Parade, and such good sports with their creative costumes! 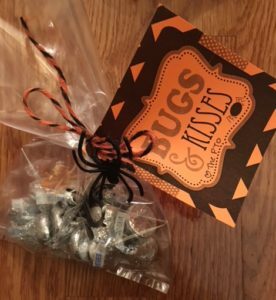 We thank them for all their hard work – both at Halloween and all through the year. We love our CMES teachers! On October 27th, our first Skate Night of the 2017-2018 school year was a great evening for 146 members of the CMES community! Plan for another night of fun on December 1st! 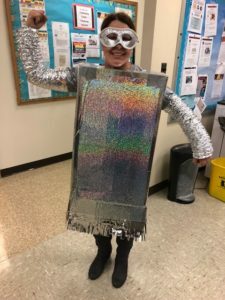 On Friday the 13th (of October) the students were all turned into robots! By working in groups to find clues and solve math problems, they were able to be turned back into the wonderful students we all know and love! This year’s Mustang Math fundraiser raised the money the PTO needs to fund all their programs for the school year… like those you see right here on this page! On 6 October 2017, the students enjoyed an educational treat as the PTO sponsored Brian Curry Math assemblies. Just one example of how the PTO enhances the education of all our students! 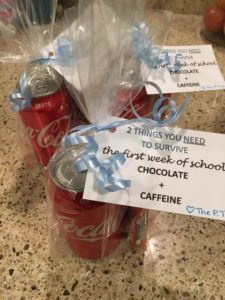 Teachers were so appreciative of the gift of caffeine (in the form of a soda) and sugar (in the form of chocolate candies) that the PTO provided to help them get through the very busy first week of school. We love our CMES teachers! On 8 September 2017, the tradition of the Back-to-School Picnic continued and was a rousing success as families enjoyed food and games, meeting new friends, and catching up with old ones. On 29 August 2017, the Kindergarten Social theme became “Popsicles and Puddles” as we welcomed incoming kindergartners and their parents to meet each other on the playground, despite the rain.